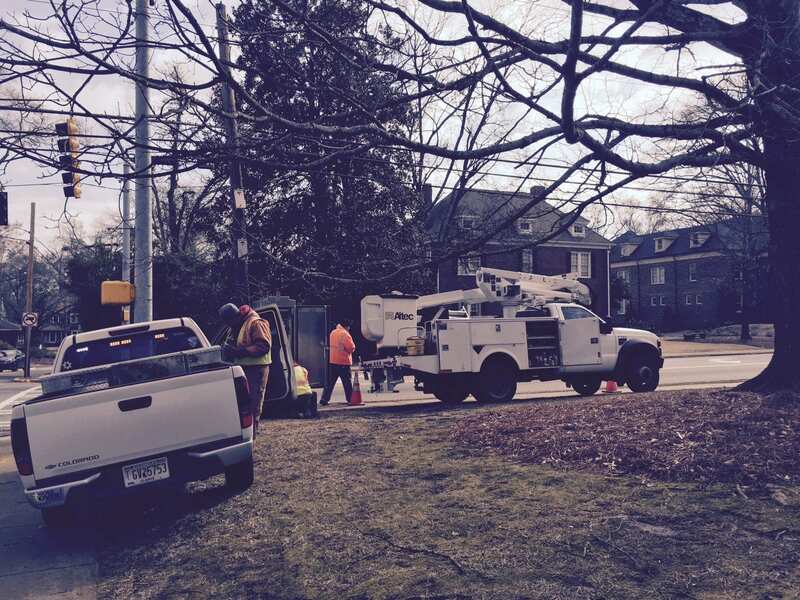 A crew from Athens-Clarke County fixes the traffic light at the corner of Milledge Avenue and Rutherford Street. Ice knocked out the power to the lights earlier this week. 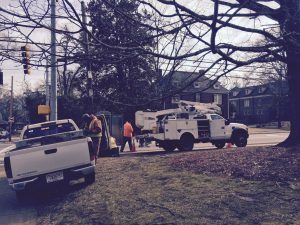 We’ll have more information on power outages in the area, and when you can expect the lights to come back on. UPDATE: Fallen Branches on Milledge Circle. Georgia Tech Student Ryan Pickren filed for a pre-trial diversion today. That means he will avoid a trial if he completes the necessary program. 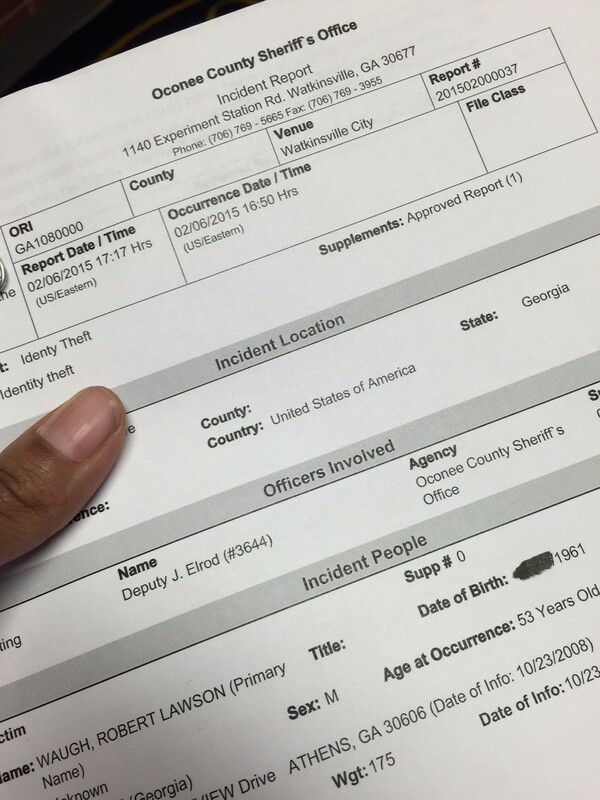 Reporter Aaron Jones was in the Athens-Clarke County courthouse and will have the details tonight at 5 p.m. 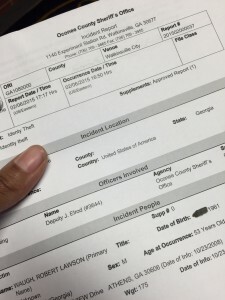 The Oconee County Sheriff’s Office reports 11 incidents of fraud in just the past two weeks. Three people have reported tax fraud and one fraud investigator says he expects to see many more. He says people usually don’t find out about the fraud until they start filing their taxes. 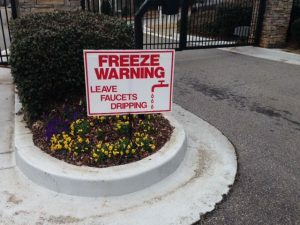 Find out how fraud happens and how to protect yourself tonight at 5 p.m.
Students will be staging a silent protest today at five over the shootings in Chapel Hill. A man shot 3 Muslims last week in Chapel Hill, North Carolina. Now students at the University of Georgia are standing together to show their support for Muslims here in Athens. Reporter Kevni Woodside will be live from the protest on tonight’s newscast. More than 30 people attended the Oconee Board of Commisioners meeting Tuesday night.